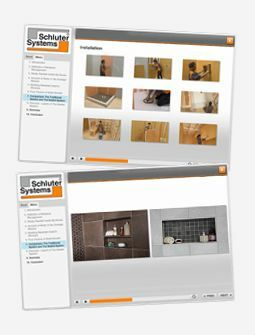 We recommend using Schluter®-DITRA-HEAT-DUO uncoupling membrane. The DITRA-HEAT-DUO offers the same functions as the Schluter®-DITRA-HEAT membrane but also features an integrated thermal break in the form of a thicker bonding fleece. This will reduce heat loss to the concrete substrate and improve the floor warming response time.